Large Victorian Needlework. Floral with Central Crown. 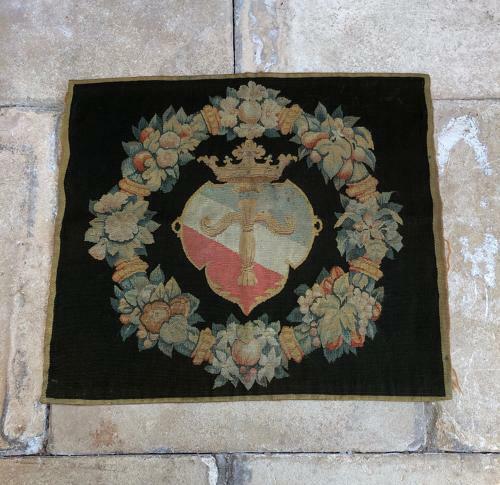 Superb Condition Late Victorian Needlework...Great condition for its age. Large enough to be a Central Table Square...a chair back...a huge cushion or framed. Floral wreath with central crest and crown. Wonderfully fine needlework.